A pillar drill is very useful and ensures holes are drilled straight. I used M6 cross dowels with socket/Allen key heads to join the major parts, which are available at most DIY stores. These are great because you can take the machine apart very easily if you need too, without having to wonder which size screw did I use on this part. For the mechanical part of the build you need anything fancy just screwdrivers, pliers, measuring tools and a few clamps. TB6560 .This is optional but allows me to disassemble the machine very easily when not in use. If you have lots of space then you can wire it directly. Another benefit is that I can swap it over on to my CNC router using the same CNC controller. I just use colour coded cables on the connections. 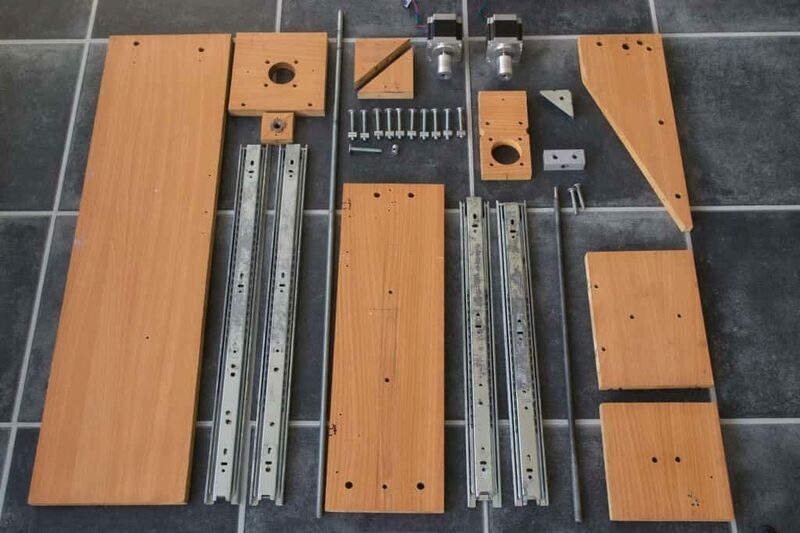 I suggest you build the mechanical parts of the Hot Wire CNC Foam Cutter before getting the electronics and motors. To save yourself time and some expense take the cutting list to your local DIY store and get them to cut all the parts. My local store does this and you only pay for what you need and you’ll get them cut to the correct size with nice square cuts. The links below are affiliate links so if you use them to purchase from them thank you very much. You don’t pay any more but I earn a little commission. My build is based on these parts with a couple of options for the controller hardware. 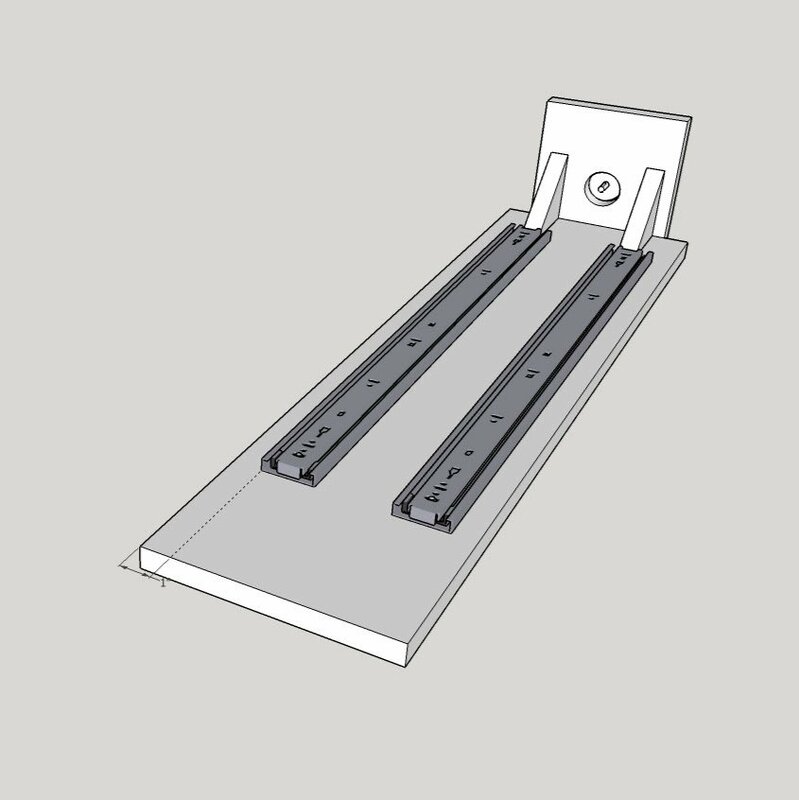 The drawer slides for the Hot Wire CNC Foam Cutter are the 24″ (600mm) ones set 1” (25mm) from the edge and butted up against the triangle pieces. The hole for the stepper motor needs to be 1 1/2” in diameter. Just check your motors first as there is usually a raised section on the mounting end that fits into the hole. 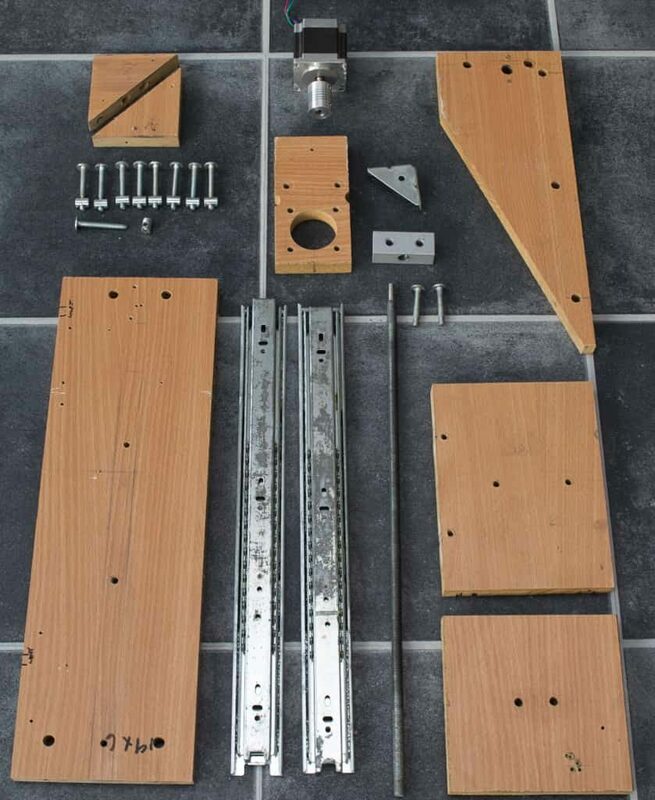 Make sure the drawer slides are set parallel to each other so that the X/A or U/V axis when attached will run freely. I used a spacer between them to make this was correct. 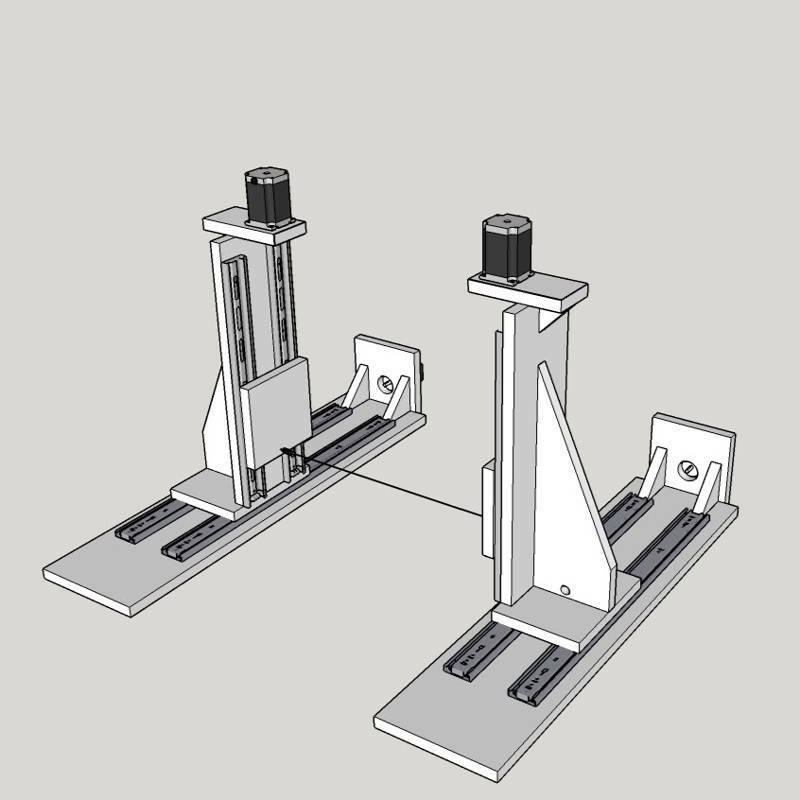 The drawer slides on the Y and Z axis are the 18″ (450mm) and are set flush along and bottom edge. Do this first so you can get them set parallel to each other, much easier before you attach the other parts. 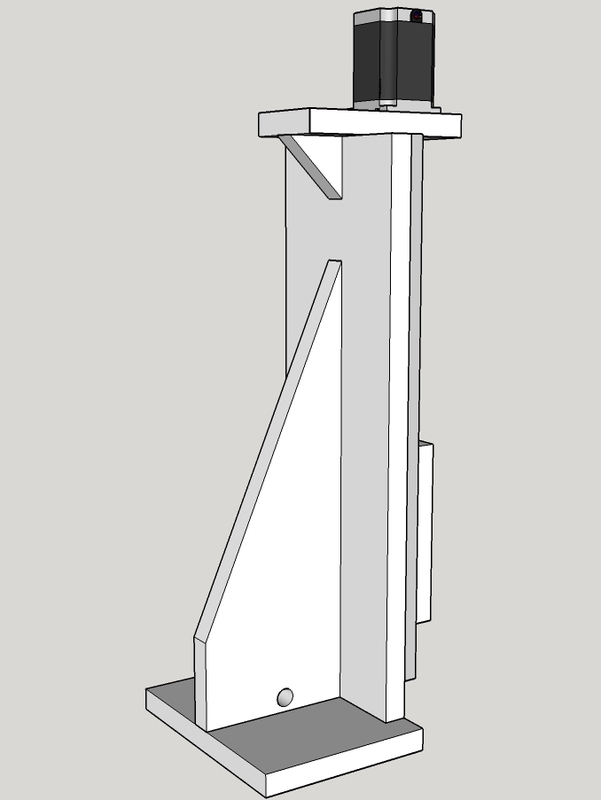 Attach the 6″ x 6” Part I to the drawer slides. With the slides attached offer Part I so its flush with the end of the slides at the bottom and make some marks on the slides and Part I, used a fine Sharpie for this. Now to attach Part I to the slides, you’ll have to take the slides apart to attach Part I from the back. Put the slides back together and check the slides move very freely. If they are tight it’s probably the slides are out of alignment on Part I. Adjust the slide on Part I until it moves very smoothly. If it binds the steppers may struggle and miss steps. Now attach Part H the gusset as shown in the diagrams below to Part D in the centre and flush the bottom, then attach Part G, the wider edge (8″) is attached to the upright Part D see diagrams below. Now cut a 1 1/2″ hole in Part E the stepper mount. Set the triangle piece Part F flush and centred on the opposite end to the stepper. Now mount this on top of Part D and centred. The triangle piece gives this extra support. The threaded rod needs to attach to Part I so you’ll need something with an M10 thread. I’ve used T nuts and some aluminium blocks. I had the blocks kicking around so I drilled and tapped them with an M10 thread. 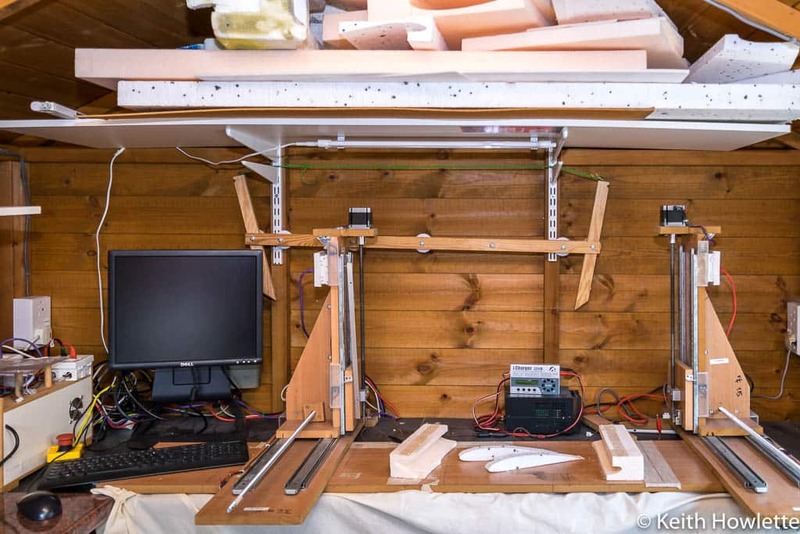 You can see my configuration on this page http://www.rckeith.co.uk/cnc-hot-wire-foam-cutter/ I used the T-Nuts on the Z and A axis. I initially used rubber hose and clamps to attach the steppers to the threaded rod and these worked OK for a while but I found that sometimes the Y and Z axis would drop off due to its pulling against gravity, the X and A were OK. So, I decided to purchase some couplers which fitted the steppers and the M10 threaded rods perfectly. These have some flex in as well which will allow for small misalignment, no issues since I swapped to these. This needs to be done the same way as joining Part I to the smaller slides. Just make sure it all runs very smooth again. To allow me to get the threaded rod aligned correctly going into the upright tower I made the hole in Part H larger than required and then attached a T-nut to a small block of wood which then attached to part H. This allows for some adjustment if the rod feels to bind up. See my picture on the main page. This next part covers the electronics I’ve used but I have another post that covers several options for motors and controllers in more detail. Maybe worth a read if you’re unsure. 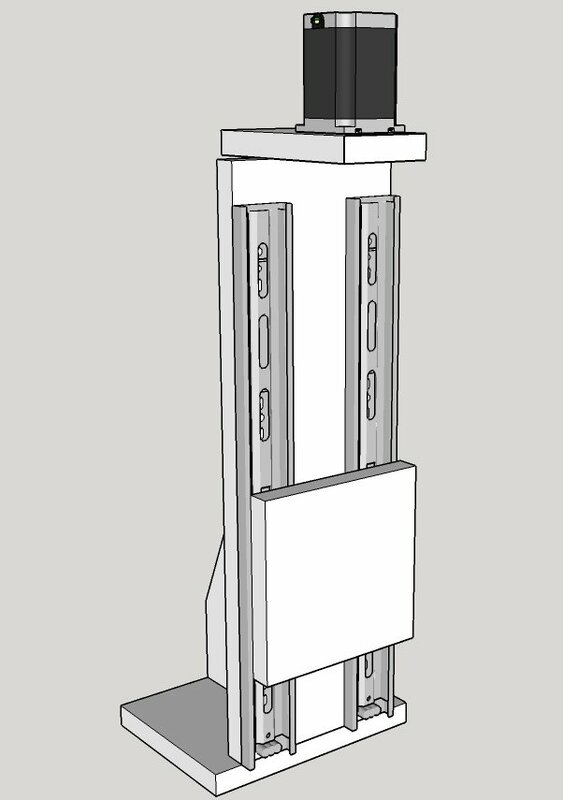 For this design, I decided to use NEMA 23 motors. 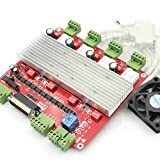 A NEMA 23 stepper motor is a stepper motor with a 2.3 x 2.3 inch (58.4 x 58.4 mm) faceplate There are many options to choose from in this range and generally the longer the motor body the more powerful the motor is. NEMA 17’s are also an option and these are smaller and used commonly in 3d printers. The 17 means 1.7×1.7 inches on the faceplate. Choosing a CNC controller can be a little intimidating if you are new to the subject. There are several options all with their pro’s and cons. 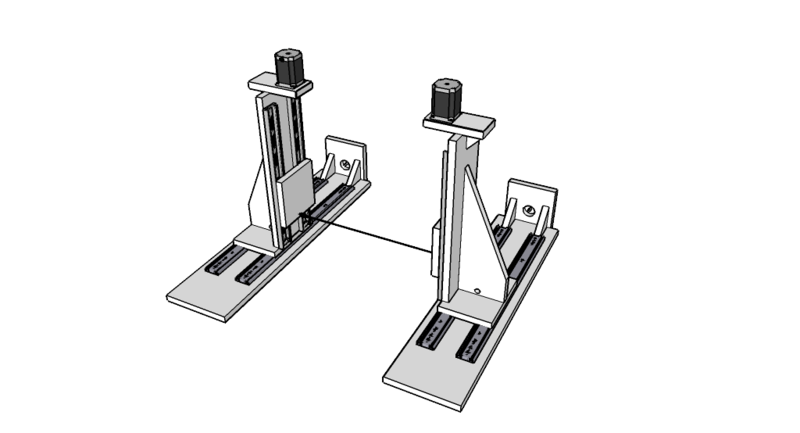 One of the main factors is the size of stepper motors you decide to use. The TB6560 all in one board I use is my opinion is a little easier to use because a lot of the wire connections are already made on the board. If you use separate driver modules each module needs to be wired up making for a lot more wires. So there’s potential to get more crossed wires. This controller is usually used with Mach3 or LinuxCNC which is the software that interprets the g-codes and via the controller board moves the stepper motor. This is what I currently use. 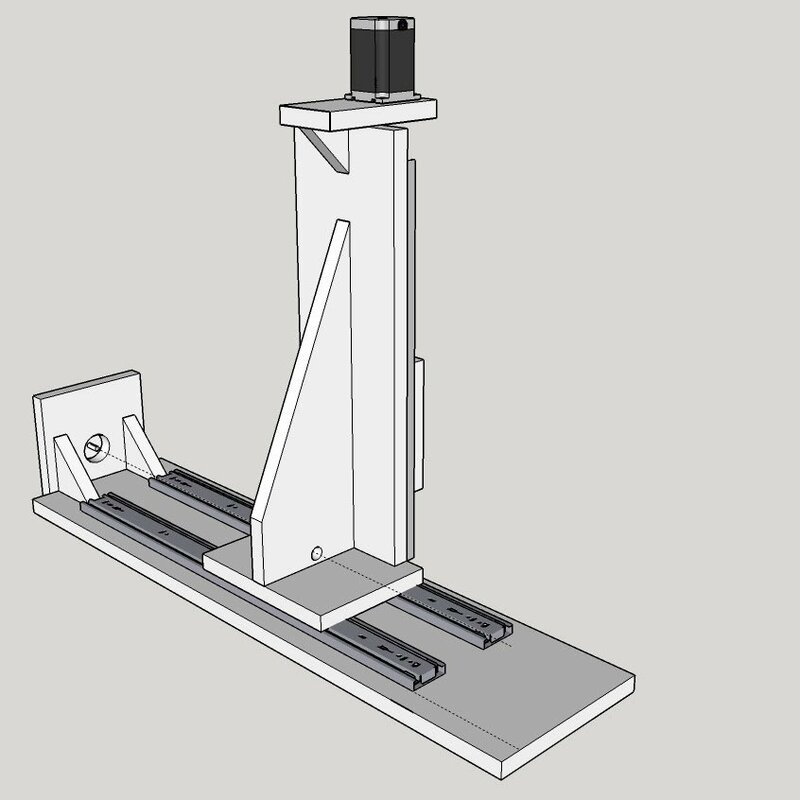 G-code is the language CNC machines use to tell the hardware what to do, such as move the X-axis 1 inch. There are many codes and they usually start with the letter “G” or “M”. Fortunately, we don’t need to learn these but understanding a few of the most common ones can help with understanding how the machine works. I use an old Dell GX 620 ussf running Windows XP with 2GB of RAM. Mach3 will only work on a 32-bit version of Windows. You can use a laptop ArtSoft doesn’t recommend it due to the power saving features used on laptops, which may cause missed steps. I use LinuxCNC on this machine as well. I have a disk for each and just swap out when I need the other. My PC was a fresh install of Windows for Mach3 and nothing else on it. It’s not connected to the internet so I have no need for anti-virus and updates. I’ve even switched lots of unnecessary services off. I get the g-code on by USB memory sticks. 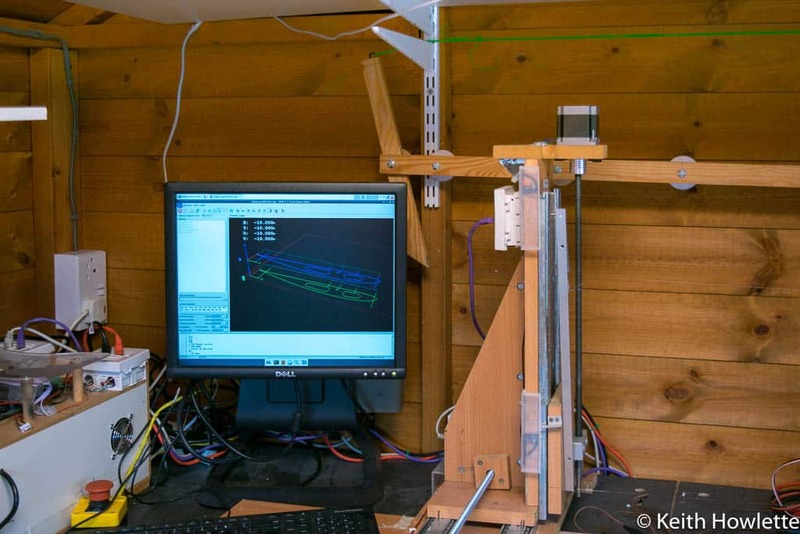 The configuration of Mach3 with the TB6560 and all my setting go to this page http://www.rckeith.co.uk/4-axis-cnc-hot-wire-configuration-for-tb6560-and-mach3/ includes setting home and limit switches. This is now my preferred option now. 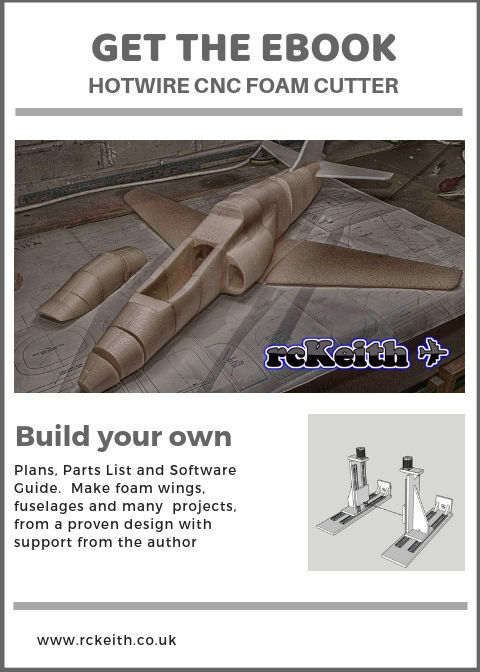 I have full details here http://www.rckeith.co.uk/foam-wing-free-cnc-software/ and in my eBook. The display is much better in my opinion for 4 axis foam cutters, Mach3 can look a little weird on 4 axes. I now have it working on my OX router as well. There’s a video on my YouTube channel and an article on this website LinuxCNC . I’ve had a few comments on the website from people struggling to get their machine working correctly. Here’s how I have mine set up. This is configured for 75% current , fast decay mode and 1/2 micro-stepping. My stepper motors are rated a 2.8 amps and the drive will supply 3 amps at 100% so I reduced this to 75% to give me 2.2 amps and the motors work have run like this for several years. Planet CNC USB has 4 Axis controllers and seems to get very good reviews. Pricing is around £100 and comes with their software. Here is a free g-code generator that will generate the code for you http://swarfer.co.za/rc/wire/index.php I’ve used it on my machine and it’s easy to use and may be all you need Start with this first. If you have any question first check the FAQ page http://www.rckeith.co.uk/hot-wire-cnc-faq/ and if that doesn’t answer it then contact me from the contact page on this site. Good luck with your build, it’s a real buzz when you see it all working. If I can do it then anyone can. First of all congratulations on your hot wire cnc. Nevertheless I have two comments to make. 1 – You don’t need NEMA 23 motors. For this simple cnc which has no need for heavy power NEMA 17 motor are more than enough and a lot more cheaper. Thank you its been about 5 years now since I built the machine and I’ve had a lot of feedback and been able to help others. You are probably right about NEMA 17 but when I bought mine NEMA23 they came as part of a CNC bundle with the controller board. 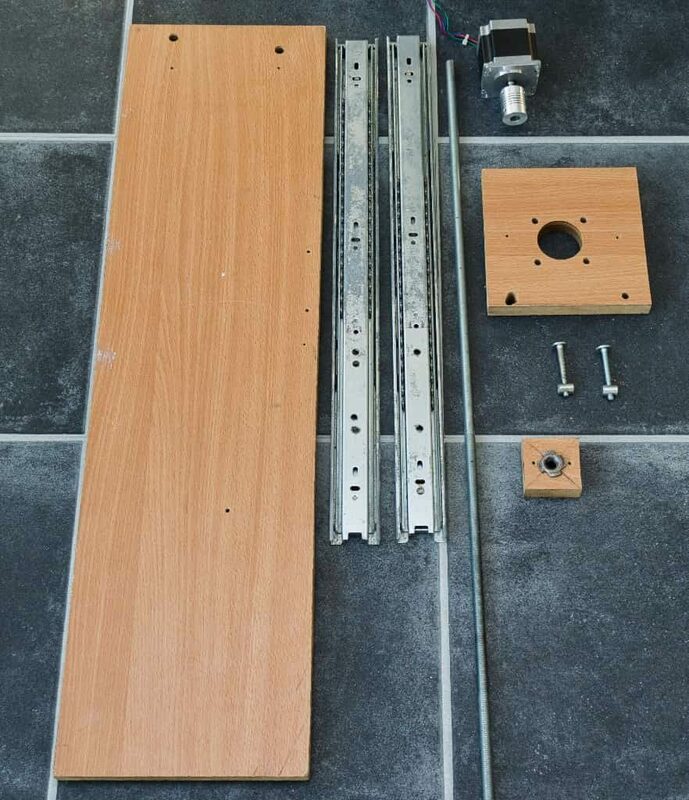 My machine is simple but quite heavy being made from MDF and drawer runners so I’ve always suggested people use NEMA23 just to be on the safe side. If they were to build a lighter machine maybe from metal then I’d see no problem in using NEMA 17, but not having tried them I can’t confirm that. The breakout board in the link doesn’t look like it has any stepper drivers, unless I’m wrong. So if you add them as well in may be more money. My TB6560 has the stepper drivers and breakout board all on the same board. 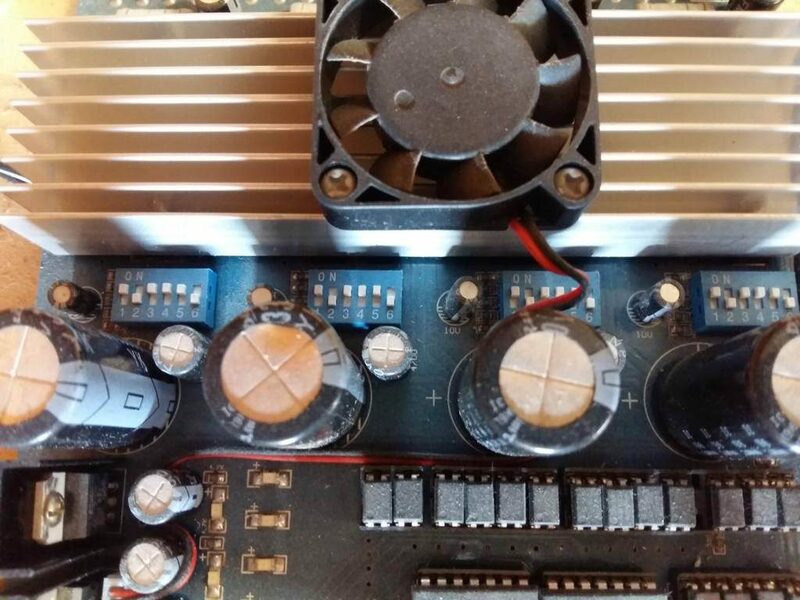 Which could be an issue if one goes faulty, then I’d need to replace the whole board. There seems to be a lot more choice now than 5 years ago , so I would probably do things a bit different now. Thanks all comments are welcome. Thanks for that nice building instructions. What about the hot wire heating ? How do you manage it ? Did you use a hotwire PWM controlled device to manage the wire heat during cutting, and if yes, do you know where it would be possible to buy such a device? I use a Lipo Battery charger which has a foam cut option check this page near the bottom http://www.rckeith.co.uk/4-axis-cnc-hot-wire-configuration-for-tb6560-and-mach3/ It a iCharger 206 which I now set at between 2.1-2.6 amps on very thin nichrome wire. The iCharger keeps the current constant and work really well. I like to keep things a simple as possible. Thanks a lot for you answer. I did’nt understand what was your way of heating the wire, but now it’s OK. The advantage, apart the cost, will be that I’ll be able to drive it using an arduino PWM signal, or an IPL5X board (I started one 6 years ago, but never finished 🙁 ) which manage the heat during the cutting process, depending of the material you cut. Thanks again for your reply, and for sharing informations about you machine build ! That looks very interesting perhaps when you have it built you can send some pictures or better still a video of it working. I forgot to add this link. This set is very cheap and has a different controller board. Do you have any idea if this will work the same? For me, this will be interesting because it ships from the EU. Is there a particular reason for using M10 threaded rod, rather than a lead-screw? Is it simply cost or is the 1.5mm thread pitch critical? Purely cost, lead screws would be fine. The pitch isn’t critical it just needs to be set correctly in the software so you get the correct travel. Keith, do you have an idea on when the new foam cutter E-Book will be available? I don’t want to start on the free version booklet and then you come out with all the new and improved version (lol). Anyway, thanks for all the info and the great web site. I think it’s going to be a couple of months before I have it done. I still have some work to do on the design and need to clear off my latest project first. The main structure is going to be similar it’s the electronics and software which is going to be the biggest change. Thank you very much for your donation I’ll send you a free copy when it’s ready. I have a little problem here, I am following the foam cutting machine 2.3 pdf that you uploaded this January 2019, with XYZA axxis. I am lose in the “text this motor” step. I can not move it, well… the motor is moving but badly and sound very bad. I think that is problem with the TB6560 driver modules and connections or configuration switchs. I tried everything, like move S1 S2 S3 S4 S5 S6 and SW1 SW2 SW3 to the position 01 and nothing. Always the same o worst and only i smoving 1 motor. Could you upload your configuration switchs and wires please? that will be usefull for beginners like me.